U.S. Sen. Chuck Grassley (R-IA) has had a busy day, dealing with Justice Department nominations in the U.S. Senate. First, his Judiciary Committee took up the nomination of Sally Yates to be Deputy U.S. Attorney General, then the Senate as a whole took up the nomination of Loretta Lynch as U.S. Attorney General. After some careful deliberation, I’ll be supporting Ms. Yates’ nomination today. In my view, that’s simply not the case. And I’ll discuss a few of the key differences between the two nominees today. First of all, at her hearing, Ms. Yates was willing to engage and answer questions in a way that Ms. Lynch simply refused to do. She was also more responsive in her answers to written questions. This may seem to some like a small point. But it’s important to me, and a lot of other Members on our side, that the senior leadership of the Department understands and is committed to that notion. Senator Lee also asked both Ms. Lynch and Ms. Yates about the limits of prosecutorial discretion. He asked each of them about a hypothetical situation where the President decides to unilaterally not enforce certain laws, like tax rates or speed limits, and how they would respond to that suggestion by the President. Ms. Lynch refused to answer the question, or even have a discussion about it, saying that she would need to know all the facts behind the hypothetical and that it would be impossible for her to give an answer in the hearing. Throughout her testimony, Ms. Lynch wouldn’t even engage in this discussion. Ms. Yates was also more responsive in her written questions. Let me give you an example. As I mentioned last week, I was disappointed with Ms. Yates’ responses to my questions regarding the Office of Legal Counsel’s correspondence on the President’s release of the Taliban 5. In my first set of written questions, I asked Ms. Yates for specifics on the Office of Legal Counsel’s advice to the President regarding the exchange of five senior Taliban officials for Sgt. Bowe Bergdahl. I’ve been trying for over a year to get the Department to stop hiding this information from the American people. In her initial responses, Ms. Yates wouldn’t even confirm simple facts about the correspondence, like whether it was provided via email and the dates of that correspondence. I found that particularly troubling because those facts couldn’t possibly be privileged. So, I followed up with Ms. Yates. In her second set of responses, Ms. Yates finally confirmed that this correspondence with the Office of Legal Counsel occurred via email, and she disclosed the approximate dates. I’d like to note that she responded that the advice was provided “by email, in May and June of 2014.” Sgt. Bergdahl was released on May 31, 2014. So, it appears at least some of the correspondence regarding whether the President had the authority to release the Taliban 5 occurred after the President in fact elected to release those terrorists. I’ll continue to press for the public release of this information because the American people have the right to know under what authority the President freed five known terrorists without notifying Congress as required by law. So, I’m obviously not yet satisfied regarding this matter, but I’d like to acknowledge the small step Ms. Yates was willing to take in giving me more information on this matter. I appreciate the information. It gives me a glimmer of hope that Ms. Yates will be more willing to work with us on oversight matters than her predecessor was. And with respect to oversight, let me briefly mention two other matters. First, I’d note that I sent Ms. Yates a letter this week concerning whistleblower complaints about hiring and spending at United States Marshal Service. I appreciate that the Department acknowledged that they initially sent us inaccurate information on this matter, and I look forward to reviewing the follow-up information we’ve requested. Second, Senator Lee and I are sending a follow-up letter to the Department regarding allegations of misconduct in the Moonlight Fire litigation. We’ve asked for a briefing on this matter, and I don’t believe that is too much to ask, particularly now that the judge in the case has denied the Motion to Vacate that was pending when the Department responded to our initial letter. I’ll vote for Ms. Yates’ nomination today, but I’d expect her to respond to these requests before the Senate votes on her confirmation. Finally, let me add that I’m also taking into consideration the position to which Ms. Yates has been nominated. The fact of the matter is, Ms. Yates is nominated to be Deputy Attorney General. She’ll be the number 2 at the Department. In this position, obviously, she’ll have less policy making authority than the Attorney General. That factor, as well her a willingness to demonstrate some independence when the situation calls for it, and her willingness to take at least small steps to respond to some of my questions, leads me to support her nomination today. I voted against Ms. Lynch’s nomination in committee and will oppose her nomination again when it’s time to vote. And I’ll spend a few minutes explaining why to my colleagues. 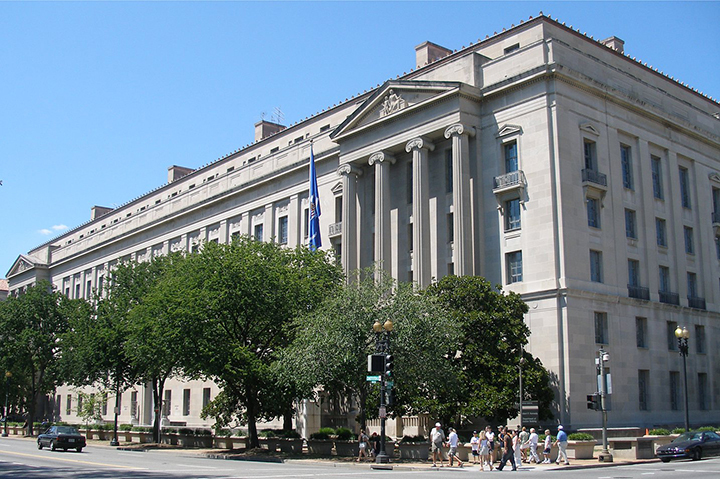 This nomination comes at a pivotal time for the Department of Justice and our country. The next Attorney General will face some very difficult challenges – from combating cybercrime, to protecting our children from exploitation, to helping fight the war on terror. He cited several examples, including the Department falsely denying basic facts in the Fast and Furious controversy. The Inspector General concluded this “resulted in an erosion of trust in the Department.” In that fiasco, our government knowingly allowed firearms to fall into the hands of international gun traffickers. And it led to the death of a Border Patrol Agent, Brian Terry. And then, how did the department respond to this? They denied, spun and hid the facts from Congress and the American people. They bullied and intimidated whistleblowers, members of the press, and anyone who had the audacity to investigate and uncover the truth. But Fast & Furious isn’t the department’s only major failing during the Holder tenure. 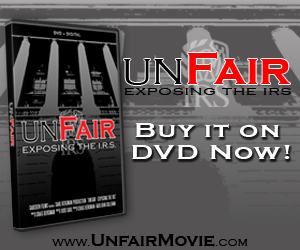 It has also failed to hold another government agency accountable: the Internal Revenue Service. We watched with dismay as that powerful agency was weaponized and turned against individual citizens who spoke out in defense of faith, freedom, and our Constitution. What was the department’s reaction to the targeting of citizens based on their political beliefs? They appointed a campaign donor to lead an investigation that hasn’t gone anywhere, and called it a day. • And the Fourth Amendment wouldn’t have anything to say about the police attaching a GPS device to a citizen’s car without a warrant and constantly tracking their every movement for months or years. These positions aren’t mainstream. At the end of the day, the common thread that binds all of these challenges together is a Department of Justice that is deeply politicized. But that’s what happens when the Attorney General of the United States views himself, in his own words, as the President’s “wingman.” Because of all the politicized decisions we’ve witnessed over the last few years, I’ve said from the very beginning of this process that what we need more than anything else out of our next Attorney General is independence. Ever since she was nominated, it was my sincere hope that Ms. Lynch would demonstrate that independence. It was my hope that she would make clear that while she serves at the pleasure of the President, she is accountable to the American people. Because the job of Attorney General is defined by a duty to defend the Constitution, and uphold the rule of law. The job is not to simply defend the President and his policies. Now, I voted for Attorney General Holder, despite some reservations and misgivings. But I’ve come to regret that vote because of the political way he has led the department. I realize that the quickest way to end his tenure as Attorney General is to confirm Ms. Lynch. But as I’ve said, the question for me from the start has been whether Ms. Lynch will make a clean break from his policies and take the department in a new direction. Some of my Democratic colleagues have said that no one has raised any objections to Ms. Lynch’s nomination. This, of course, isn’t accurate. No one disputes that she has an impressive legal background. It was her testimony before the committee that caused concern for many Senators, including me. After thoroughly reviewing that testimony, I concluded that she won’t lead the department in a different direction. And that’s unfortunate. Because after 6 years of Attorney General Holder’s leadership, the department desperately needs a change in direction. I asked Ms. Lynch about her views on Fast & Furious, on the IRS scandal, on the other ways the Department has been politicized. She didn’t demonstrate she’d do things differently. Instead she gave non-answers. She was eloquent and polished, but non-responsive. The bottom line is that Ms. Lynch doesn’t seem willing to commit to a new, independent way of running the department. That surprised me. Based on everything we were told, I expected Ms. Lynch to demonstrate a bit more independence from the President. Now, I’m confident that if she had done so, she would’ve garnered more support. As I said when the committee voted on her nomination, to illustrate this point, we need to look no further than the confirmation of Secretary Carter to the Department of Defense earlier this year. When he testified before the Senate Armed Services Committee, Secretary Carter demonstrated the type of independent streak that many of us were hoping we’d see from Ms. Lynch. Most of the media reporting on the two nominations seemed to agree. Secretary Carter was confirmed with 93 votes. Only 5 senators voted against his nomination. That lopsided vote was a reflection of his testimony before the Senate, which demonstrated a willingness to be an independent voice within the administration. Unfortunately, Ms. Lynch didn’t demonstrate the same type of independence. I sincerely hope Ms. Lynch proves me wrong and is willing to stand up to the President and say “No” when the duty of the office demands it. But based on my review of her record, I cannot support the nomination.